Fayetteville appears to have lost one of its taco shops recently. Fort Worth, Texas-based chain Fuzzy’s Taco Shop closed their location at 32 W. Joyce Blvd. (in the building formerly home to Buffalo Wild Wings) recently. A post on the Fayetteville Facebook location page over the weekend indicated that the restaurant is permanently closed. That Facebook page has been removed since then, however. 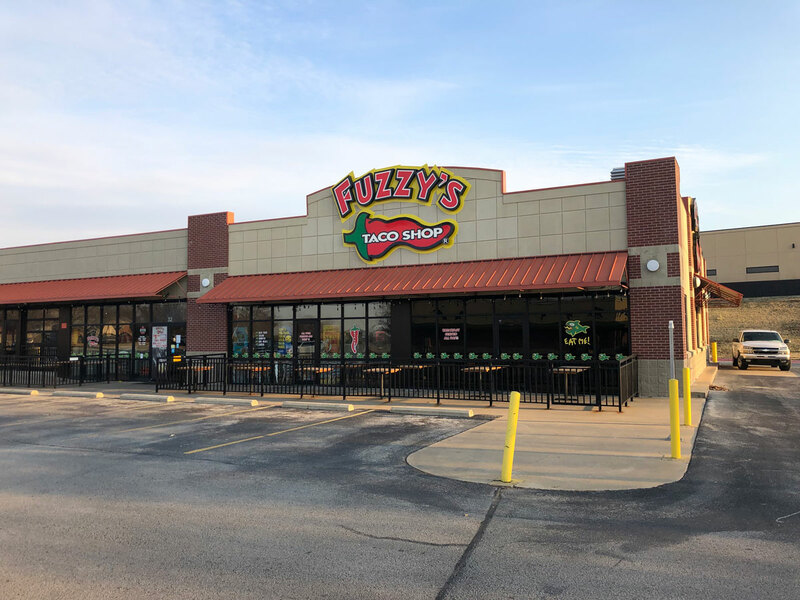 The Fuzzy’s website also lists the location as “closed,” and there are new “for lease” signs already located near the entrances of the shopping center parking lot. A sign still posted on the door of the restaurant says the restaurant “will be closed until April 1,” and directs customers to their Rogers location. We’ve reached out to a spokesperson for the restaurant for clarification. Update: According to Renee Cossman, a PR agent for Fuzzy’s, the Fayetteville restaurant is permanently closed. The restaurant chain opened the Fayetteville location in 2017. The restaurant specialized in “Baja-style” tacos, and operates around 150 locations in 16 states.